I guess I'll try this question here first. 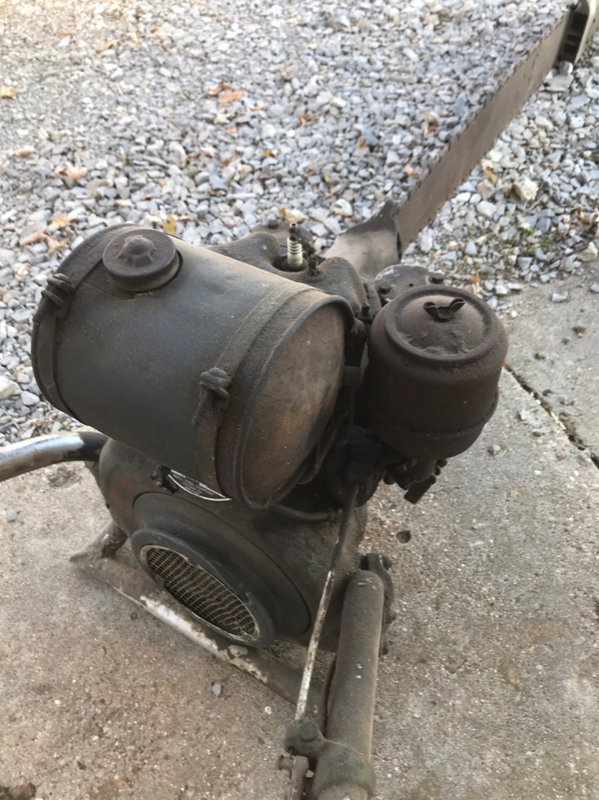 Did any of the Disston military saws have an air filter on them? I ask because I picked up a KB7-b(which I should post pictures of) and there is O.D. paint under the orange on the air filter. Doesn't make any difference to me, I just would like to know. The zinc chromate primer that was used under the orange is similar to OD green. Great, thanks. I wondered if that might be the case but I could not see it on anymore of that saw or my others. I got another question. My one KB7-B has 75059 in the date box, what's that mean. I speculate but would like to know. On another note I just got my new KB7-B running. The previous owners were not sure how long it sat without running. It fired on 4 pulls and idles pretty good. We'll see if it will run when I try it after supper. Thanks all. I picked up this KB7-B from the son of an old Homelite dealer. He took it in trade for a Homelite in the mid 60's and it sat untouched since then. I replaced the fuel filter and cleaned up the magneto and points and fired it up. It came with the original filter cleaning brush. ray benson, MS260 Fan and ML12 like this. That thing is in sweet shape. My Great Grandfather's KB7-b is in that kind of shape. You scored a chipper chain too. Those things make impressive chips. These saws do have a fuel filter(element) in the tank. You have to remove the valve assembly on the bottom. If you don't have a manual there are KB7-b manuals on evil-bay and are very useful. The pictures in it are fun too. I bought a KB7-b and a KB7-AY this year and got both running after about 50 years of not running. Those old engines are incredible. Enjoy it and saw something. Picked this up for $100 today. ray benson, pioneerguy600, Beavers and 1 other person like this.